1956-62 Physical Faculty of Moscow University: Department of Theoretical Physics. 1962-66 The Research Institute of Sources of Current. 1962-64 Member of the public organization "University of young Marxist", supernumerary employee of Central Committee VLKSM. 1965, Sept.3 Was baptised by Rev. Alexander (Men). The first spiritual mentor — Rev. 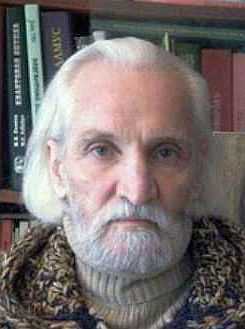 Nikolai (Eshliman). 1966 The declaration about withdrawal from the VLKSM as atheistic organizations. He was compelled to resign from VNIIIT and forbidded to defend of prepared dissertation. 1971 Participation in the open letter to the Local Council of the Russian Orthodox Church, revealing and criticizing the false metropolitan Nicodim (Rotov) doctrines. Authors: Rev. Nikolai Gaynov, Felix Karelin, Lew Regelson, Victor Kapitanchuk. 1973-78 Participation in struggle for human rights, mainly, the protection of the believers rights. Making livings for my large family, I was compelled to write dissertations for the clergy. At the same times I was writing the book on the history of the church during the Soviet period. 1980 9 months in KGB prison (Lefortovo) on charges of "anti-Soviet agitation and propaganda"; was sentenced to five years probation. 1981-85 Work as guard in cemetry church. 1985-86 Work as electrician in a factory. 1988-90 Had been written an expanded version of the book "The Tragedy of the Russian Church. 1917-1953". For various reasons this book has not yet been published. It is located (at first time) on the website http://www.regels.org/ in Russian and English. 1998-2005 Work as a scientific collaborator of the Physical-Technical Institute in Sukhum.